Add some Pokemon XY to your walls with these great peel and stick wall decals! 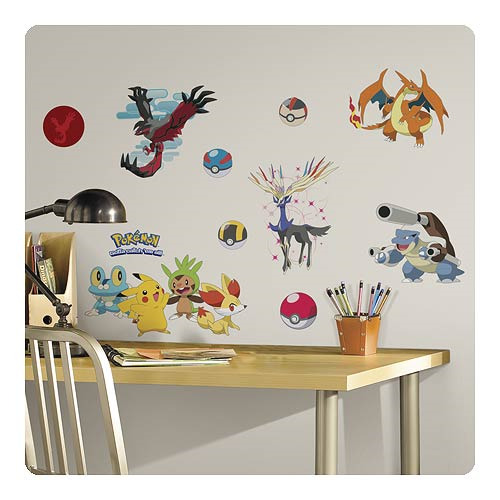 Removable and repositionable, these Pokemon wall stickers make it easy to apply to walls over and over again. Just peel and stick to have Ash, Pikachu, and man more on your wall! Comes with a total of 22 individual decals that measure from 2 1/2-inches tall x 2 1/2-inches wide to 9 1/2-inches tall x 7 1/2-inches wide. Ages 4 and up.